Spaceflight will be launching 12 spacecraft in November via India’s ISRO Polar Satellite Launch Vehicle (PSLV) — payloads aboard the mission include Fleet Space Technologies’ Centauri I, Harris Corporation’s HSAT, Spire’s LEMUR satellites, and BlackSky’s Global-1 microsatellite. Among the payloads aboard the mission is Fleet Space Technologies’ second satellite. The fast-growing Internet of Things (IoT) company’s smallsat will establish a global network that will connect the world’s IoT-connected sensors and devices. Over the coming years, the Australian business will create a constellation of nanosatellites to create a scalable, global network to help connect many of the 75 billion sensors expected to dot the world over the next decade. The smallsats will bring mass-scale efficiencies for industries such as agriculture, mining, and logistics by enabling businesses to gather complex, revealing data to improve operations. 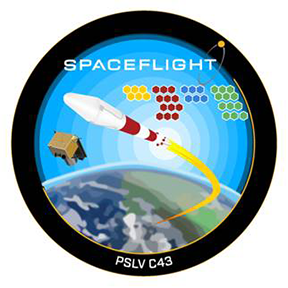 In addition to PSLV, Spaceflight works with nearly every global launch vehicle, including the Falcon 9, Antares, Dnepr, Electron, Vega, Soyuz, and LauncherOne, offering customers the most options for getting to space. By working with a range of vehicle providers, Spaceflight increases flexibility and provides satellite developers a broad range of launch options should delays occur. Additionally, the smallsat rideshare service model helps organizations reach a desired orbit at a much lower cost than buying their own launch vehicle. Spaceflight has negotiated the launch of more than 150 satellites on behalf of customers and has contracts to deploy nearly 100 more through the remainder of 2018. The company plans to coordinate and deploy its largest launch to date in 2018 with its first dedicated rideshare mission aboard a SpaceX Falcon 9. Curt Blake, the President of Spaceflight, said that this is Spaceflight’s seventh launch with PSLV and, following this mission, the company will have sent 66 spacecraft to orbit aboard PSLV rockets. This partnership is valued by the company as a reliable launch vehicle provider. PSLV’s routine launches enable us to provide satellite developers access to space and meet the growing demand from the smallsat industry. Fleet Space Technologies co-founder and CEO Flavia Tata Nardini added that the launch of the company's satellite is a huge milestone. Spaceflight and launch vehicle providers, such as PSLV, are helping to enable frequent and reliable access to space, which will be critical as Spaceflight continues to build the firm's constellation.